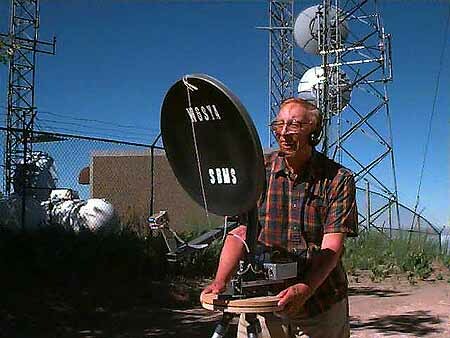 Bob has been active on many of the bands for many years now and has recently gotten very active on many of the microwave bands. He recently broke the "magic" three mile barrier with a 10 GHz contact with WA6EVX of 166 miles over a difficult mountain path. Here's Bob on Heaps Peak, over looking Lake Arrowhead, during his 166 mile QSO with EXV. 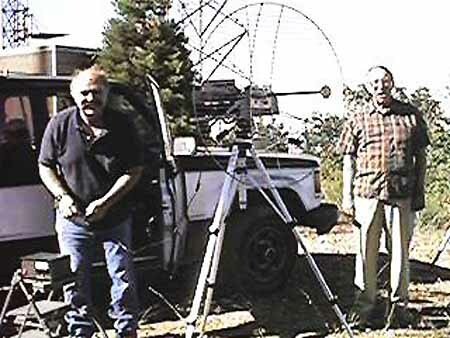 Here Bob (right) is operating with NJ6J, Steve (left) on Heaps Peak during the June '97 VHF contest.